Ten Dollar Thoughts » Blog Archive » 30 Down. 10 To Go. This entry was posted on Monday, August 29th, 2011 at 5:00 am	and is filed under Change, Family, Parenthood. You can follow any responses to this entry through the RSS 2.0 feed. Both comments and pings are currently closed. 30 weeks! So exciting! That little guy will be here before you know it. Trust me And you are right – You won’t be able to imagine life without him! Feel good. Yes! I only have 5 weeks to go (can’t believe it), and as miserable as I am during pregnancy, I am trying to not wish away these last few weeks as a family of 3 and being able to focus my full attention on my first little guy. I like your positive take on it, I’ve been too inundated with the negatives of having two (“its not twice as much work as 1, its four times…”, etc…) and anecdotes about sibling rivalry and jealousy, regressive behavior, etc… (my son is only 20 months now, so no doubt some of this WILL happen, but still!) Its hard to keep in mind that a) we WANTED to have another child and b) it is truly a joyous occasion. I’m glad you’re feeling good, and hope the heartburn doesn’t get you this time. You look great, kid! I can’t wait to meet baby #2! I can imagine so many mixed feelings. But a year from now, you’ll probably look at GAP and say, “can you imagine life without both of them? ?” Savor the last weeks, and all my good wishes coming your way. The time with just one is precious, and two is a shift. But for me, it wasn’t as seismic as having one. That changed my whole life. Two, well, it’s more, and it’s different but mostly I feel more steady in my role as a mom, more prepared for the ups and downs of the journey. The first few months for me with two were pure magic. Even with the exhaustion, the world felt gloriously narrow, my focus so acute on what mattered in each moment. That’s really all you can do. 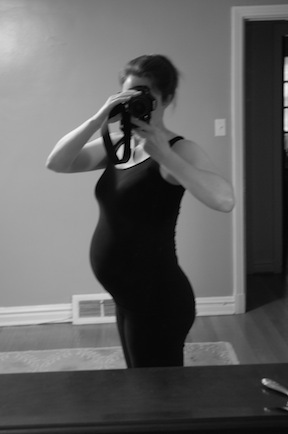 I was lucky that those last few weeks of my second pregnancy were so busy I couldn’t fret. Now, I’m having similar fears though about going to three. Oh, how will I ever do it? But you do what you need to. Best wishes for a savory and comfy last 10 weeks! Gale — Again, I’m late in reading this post…but when I did I was struck by what you said about IEP’s last weeks as an only child. Another blogger I follow, Nicole Balch at Making It Lovely, celebrated her daughter’s last few weeks as an only child with a photo and a few sentences (caption) marking small bits of happiness each day. You can read about it at: http://makingitlovely.com/the-4-6-weeks-project/.